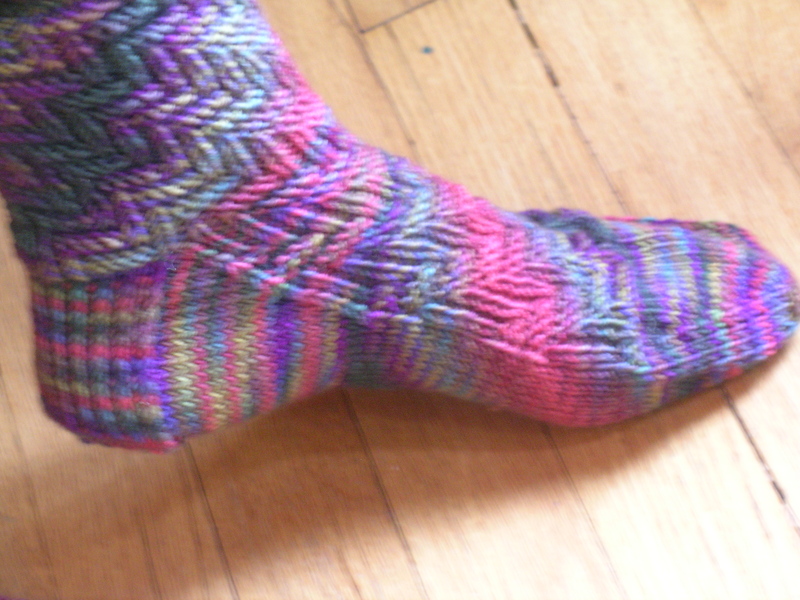 I finally finished the last pair of socks from the 2008 Socks That Rock sock club. You read that right, 2008. I was in the club for two years, and had hoped that the second year would be more interesting to me. But, I have decided that their sock yarn is not for me, and the club was really geared at beginning sock knitters. I am keeping this pair and the previous pair as the only ones for myself, all others have been gifted away. 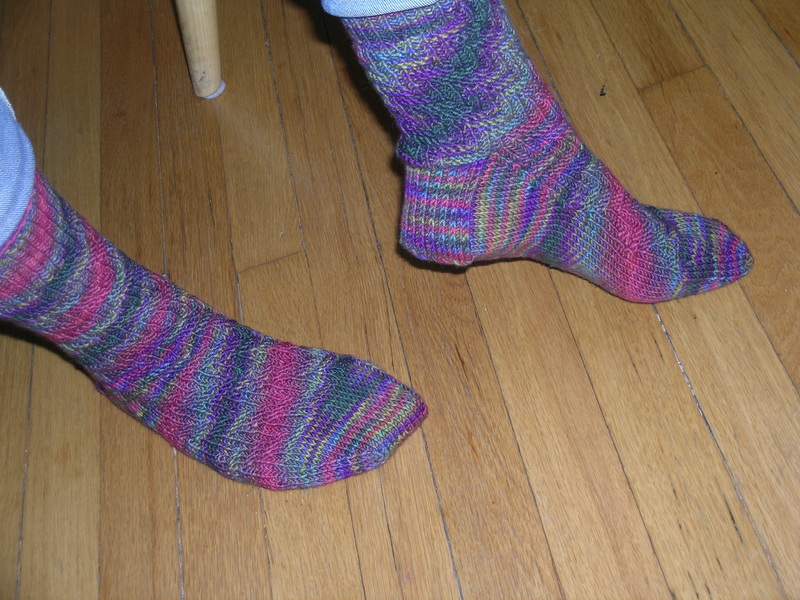 They are a bit bulky, even though it is their light weight yarn, so they will not work with shoes but rather be “house socks”. 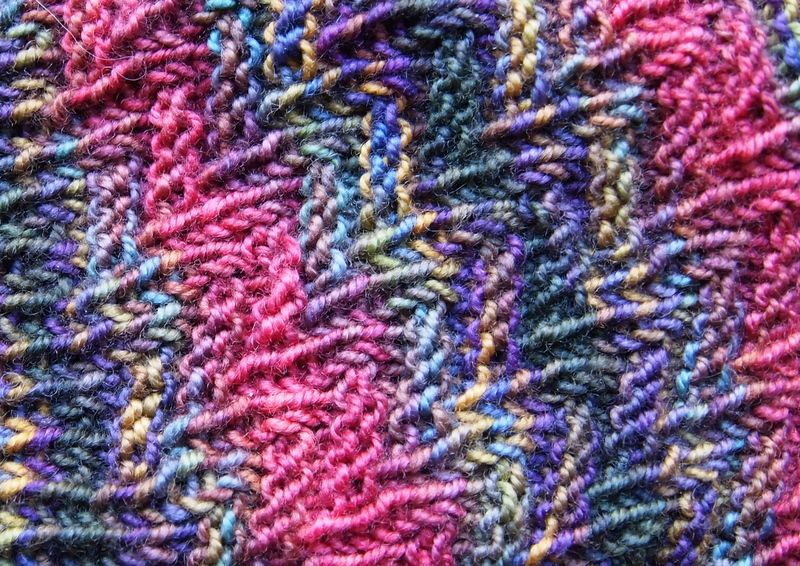 I do love the color of this yarn. There are a couple of other sock clubs out there that I might try… CookieA and Janel Laidman both now have clubs. Perhaps I should give it one more go. 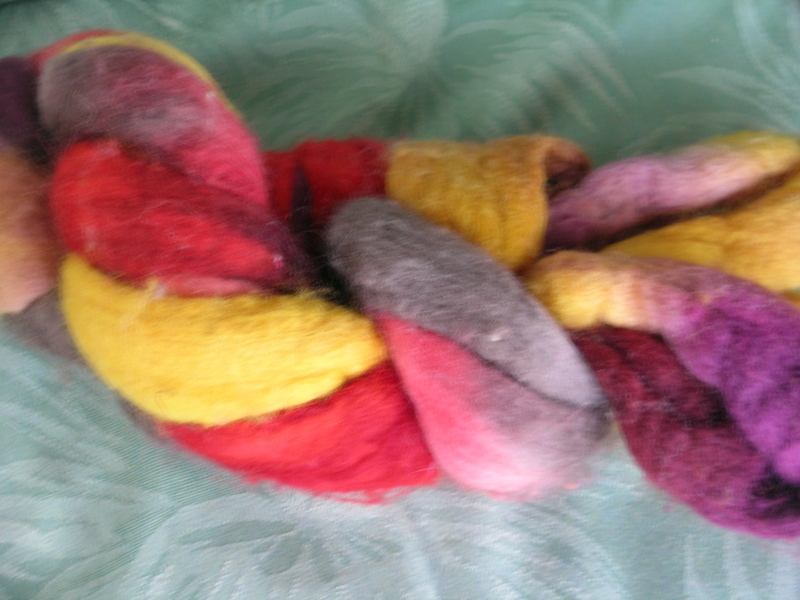 I have been spinning with this Blue Moon roving, and loving it! I will show you the finished yarn tomorrow. I was in the 2009 RSC but didn’t sign up for last year. I agree with you about how the STR fits in very few of my shoes, really just my boots. My problem with STR is that if I don’t reinforce the heels I will get holes in a few wearings. I bought a cedar chest full of STR because I love the colors but now I am sick about it. This is because not one of my STR pairs of socks have kept their color. I hand wash with SOAK and sometimes add a vinegar. But they still fade. I’m glad your happy with the spinning. i love spinning too. The only club I am in is the one from Crown Mountain Farms and it is a fiber club. You can buy only the months you want or for the whole year. It is beautiful fiber. I’m also learning a lot about the different fibers without a lot of investment.